We are a small, friendly run concern . We started with just a couple of chickens so that we could have fresh eggs for breakfast! We are passionate about our chickens and love what we do . Our free ranging chickens are outdoor reared. We have regular deliveries during the year of fully vaccinated P.O.L Hybrids in a range of colours, we also have a selection of pure breed chickens breeds vary from hatch to hatch. occasionally we have day old chicks and hatching eggs available. 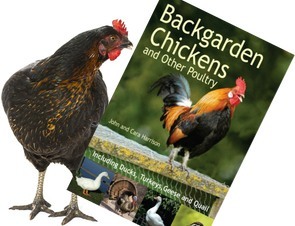 Garden Poultry is a small family run business, set in an idyllic Cheshire countryside location, besides selling Chickens we also offer Garden Hen keeping courses, Holiday Hen Accommodation and are always willing to provide help and support to chicken keepers over the phone when needed.